Browse below for dog friendly self catering cottages in Slad. The Cider Shed offers the ultimate place to spend time together and relax in luxury surroundings. 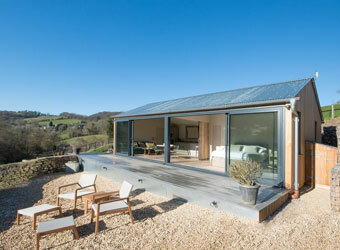 The spectacular Cotswold valley view is just one of the things you are going to love about staying here.